But first, what is an entrance reducer anyway? Many beekeepers, myself included, reduce the size of the hive opening each winter to give the girls an edge in controlling pests, ventilation, and more. It’s a cheap, quick, and commonly-used intervention. What happens if I don’t use an entrance reducer? 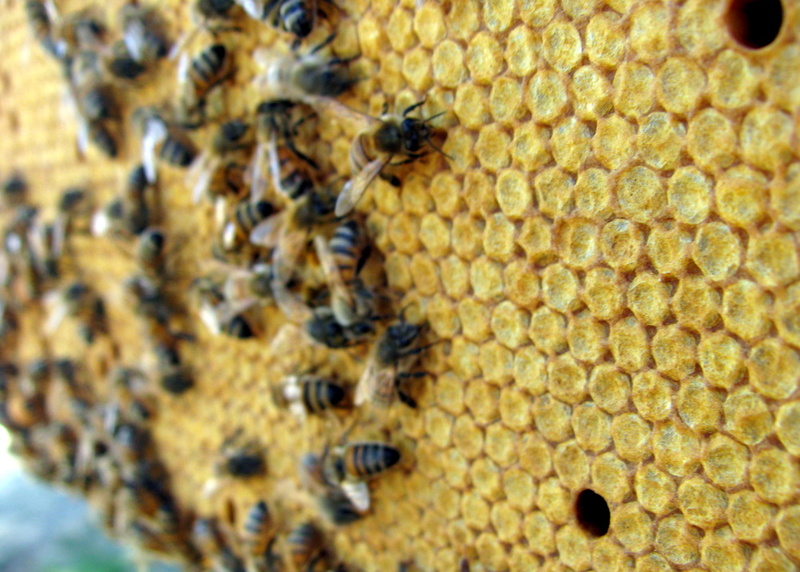 The colony gathers propolis to reduce the entrance as it pleases. As you can see in the entrance to this hive, my girls simply formed columns of propolis this past winter to ventilate and protect the hive according to their needs. 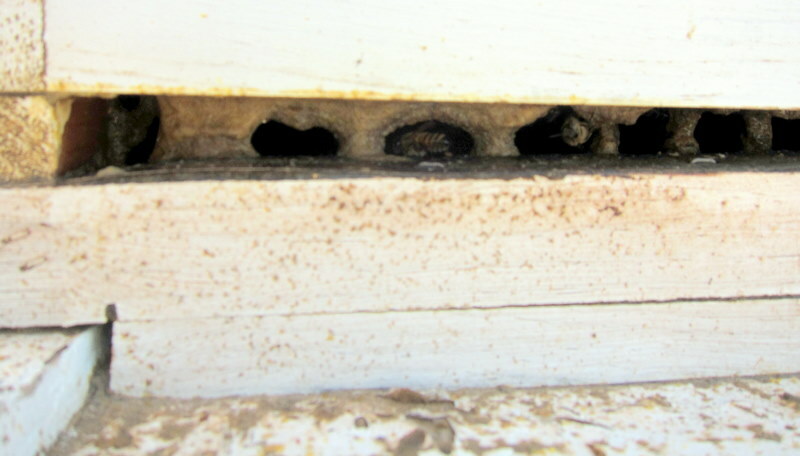 UPDATE: Here’s what the propolis “front door” looked like one month later. 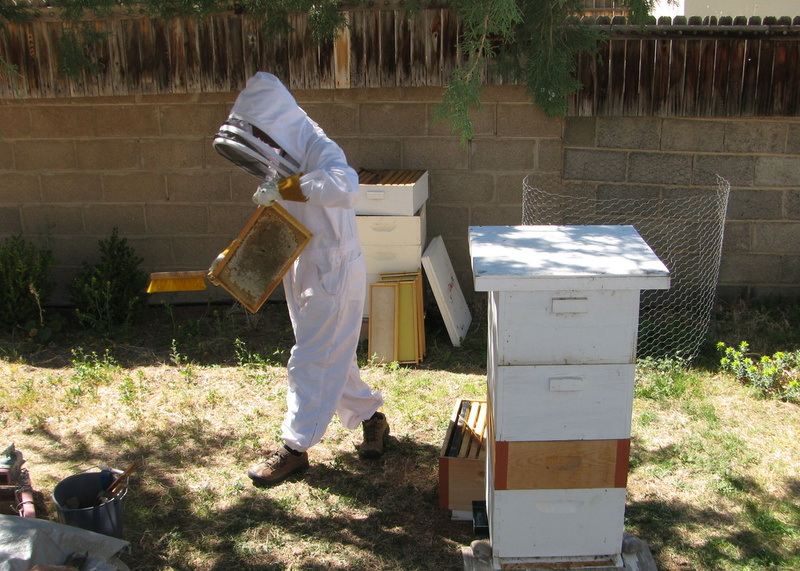 The City of Albuquerque is seeking a beekeeping intern! Besides getting free beekeeping training from TBH superstar Les Crowder, you’ll also get to hang with me out at the Candelaria Farms hives in Albuquerque’s North Valley. 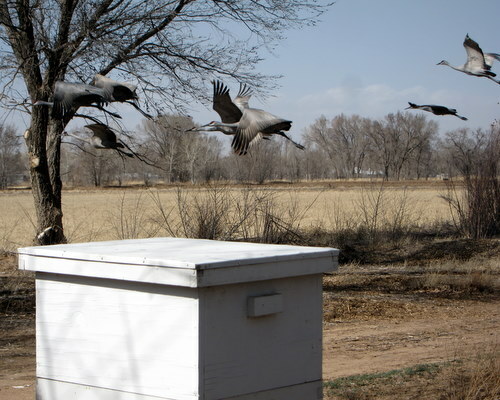 It’s a rural quiet spot amidst the City’s bluster; a place that creates moments of comet-like beauty such as a flock of Sandhill Cranes flying overhead as you walk up to check the hives between client meetings or classes or otherwise dreary deadlines. The result? Pure connected creaturely bliss.